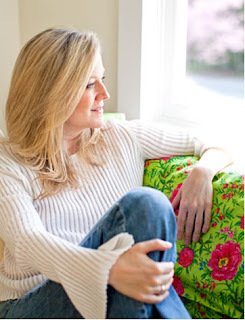 The Fat Quarter Shop is excited to welcome Stephanie Carter of Lily Ashbury to the Jolly Jabber. 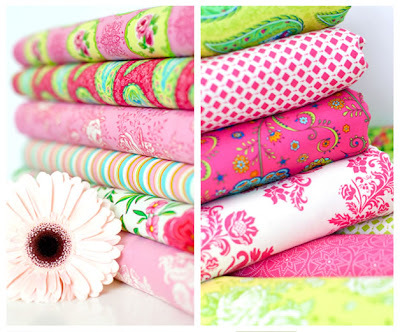 Lily Ashbury’s latest fabric collection is Summer House from Moda. 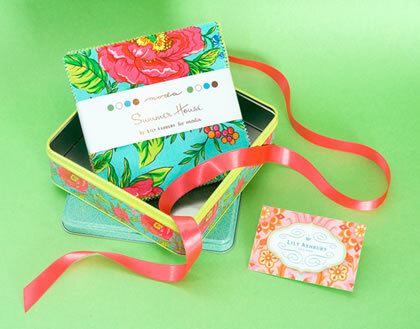 Q: What was the first seed that grew into the Summer House collection? A: My Grandmother's house on Bowen Island off the coast of British Columbia. I spent every Summer there as a child. Q: What are 3 words/ images you would choose to describe this collection? 2. Imagine an adorable little structure with white clapboard siding. A: Rosemarie is my favorite because it has a sweet innocent charm. My family and I are moving into a new home in August and I am thinking of designing my daughter’s bedroom around it. A: When I was a little girl I remember wanting a bedroom filled with all things girly girl. Now I get to live vicariously through my daughter as we design her perfect room together. We plan to make a duvet cover, shams, curtains, wall art etc..
Today I was listening to Bossa Nova but I often play the 1920’s radio network found in ITunes under the eclectic radio section. It is a sweet mix of Big Band, swing and soothing vocals. Entertaining is definitely it. My husband, daughter and I love having friends over for dinner. A smile and a nice bottle of wine buys admission to my husbands gourmet cooking at least twice a week. I am very lucky to have a man that cooks!! 4. What color are you thinking about today? Lately I have been enamored with Vermillion. I love a spicy warm red. For me it's all about the color and I think Kaffe Fasset is a genius in this department. Of his prints many are my favorites. Giveaway time!! Lily Ashbury has generously donated this Charm Pack and adorable tin to one of you lucky winners. 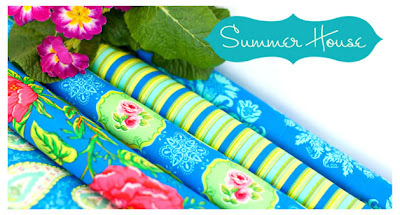 To enter write a comment on this post telling me what your favorite print is in this collection. You have exactly one week from the post date to enter.